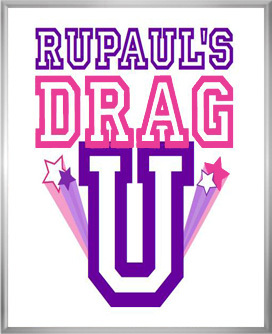 RuPaul’s Drag U: Meet the Faculty! Each week three real women who have forgotten to take pride in themselves, attend RUPAUL’S DRAG U to undergo an extreme makeover to discover their true I.D. (Inner Diva). After a crash course in the art of being fabulous, the final test is a group performance and a solo reveal of their fantasy look in front of a live audience that includes their loved ones. The one diva that wins over the audience “drag-uates” with top honors and returns to compete in the Grand Finale Diva Homecoming Episode of RUPAUL’S DRAG U. The Faculty is overseen by RuPaul, the Drag U President. Every episode, three Drag Queen Professors from RuPaul’s Drag Race seasons 1 and 2, take the real women on a journey and tutor their students on how to feel beautiful again – both inside and out. Get ready for RuPaul’s Drag U, coming to Logo this summer! For those who enjoyed the “slap” scenes from the season finale of RuPaul’s Drag Race below are the full scenes for your viewing pleasure! Watch the extended “slap” scenes from the final episode! RUPAUL’S DRAG RACE SEASON 2 FINALE PREMIERES MON APR. 26TH AT 9/8C ON LOGO. The last three queens face their final challenge – shooting the music video for RuPaul’s next single “Jealous of My Boogie.” Guests include reality star Robert Verdi from The Robert Verdi Show, make-up artist Mathu Anderson and choreographer Ryan Heffington. Watch LOGO’s RuPaul’s Drag Race Season 2: ‘Episode 10 — The Main Event Clip Show’ . A look back on the highlights, low-lights, and previously unseen footage from the first nine episodes as we race toward the climactic grand finale! We take a look back at the highlights, low-lights, and previously unseen footage from the first nine episodes as we race toward the climactic grand finale!